There's often a throng of kids gathered at Holy Gelato, where the shelves are lined with superhero-themed trinkets, toys and lunchboxes. 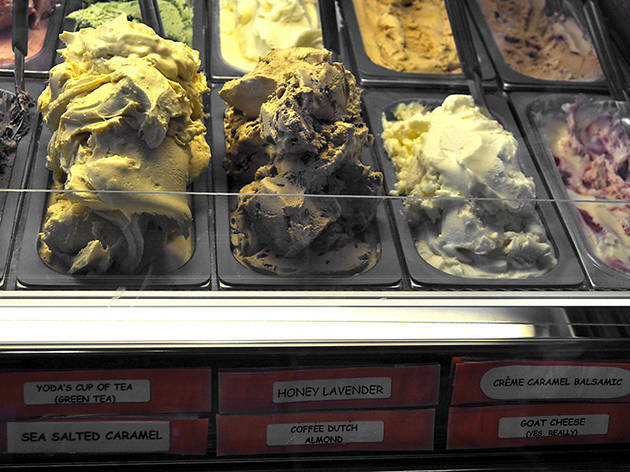 The shop serves 18 gelato flavors and 12 non-dairy options in generous scoops, including combinations like Irish Morning (coffee, fudge, cookies and whiskey) and honey lavender. (Both dairy-lovers and vegans profess love for Charlie Brown's Nightmare, a rich blend of chocolate, peanut butter and cookies.) 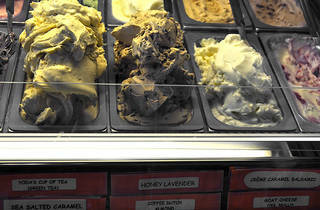 You can also opt for one of the gelato-laden drinks, like affogatos, floats and shakes.